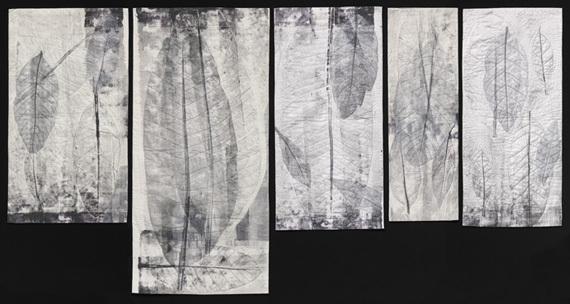 I have long been fascinated with the shape and structure of leaves of all kinds. 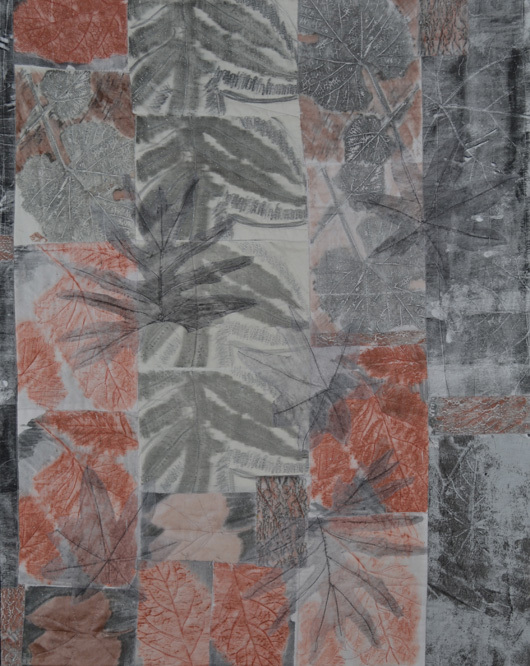 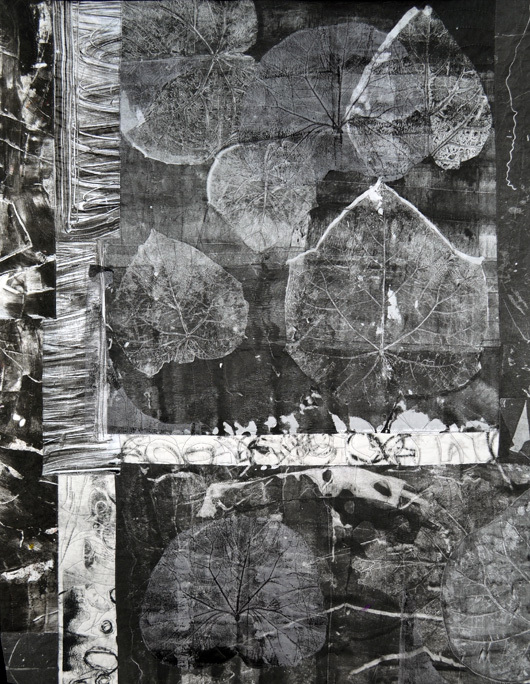 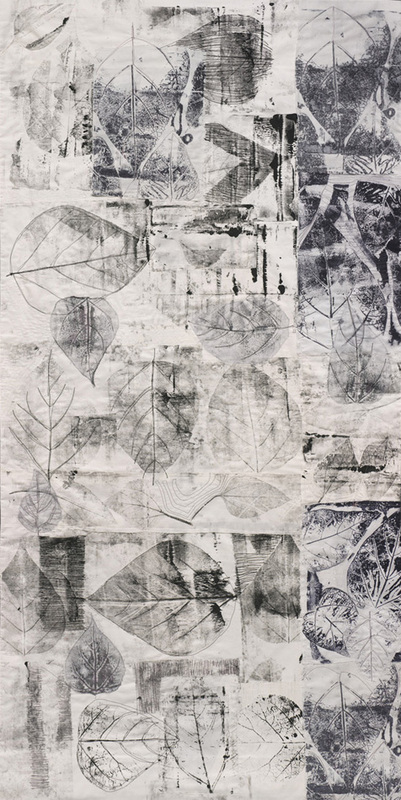 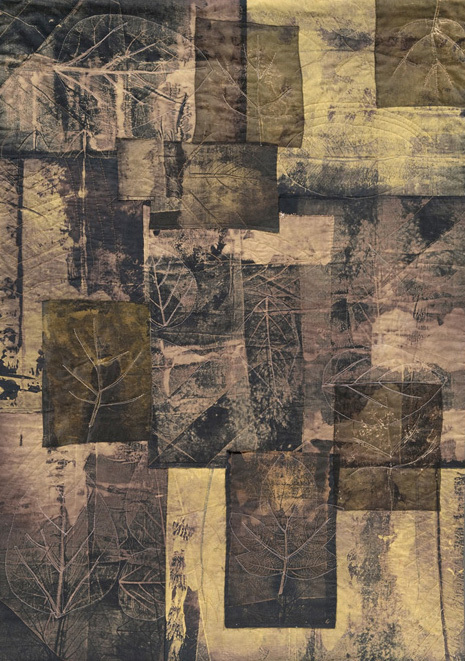 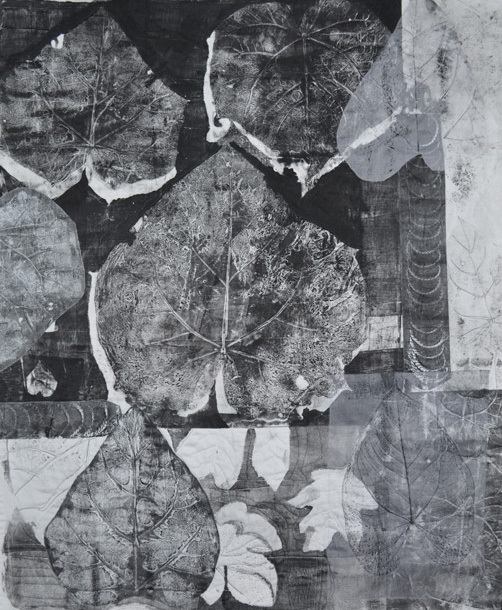 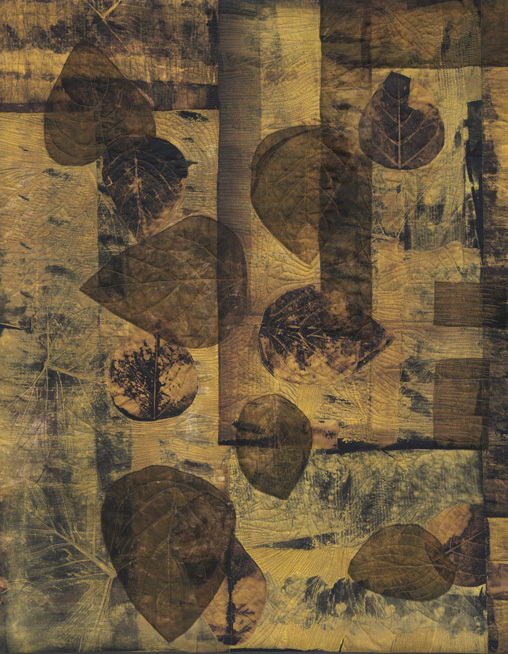 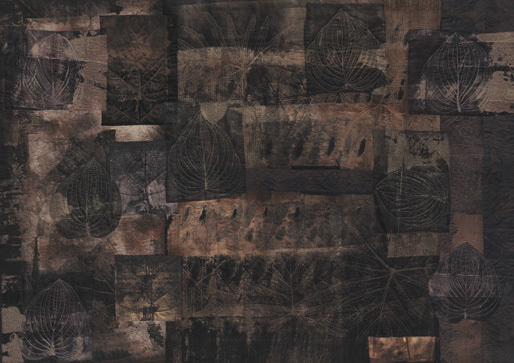 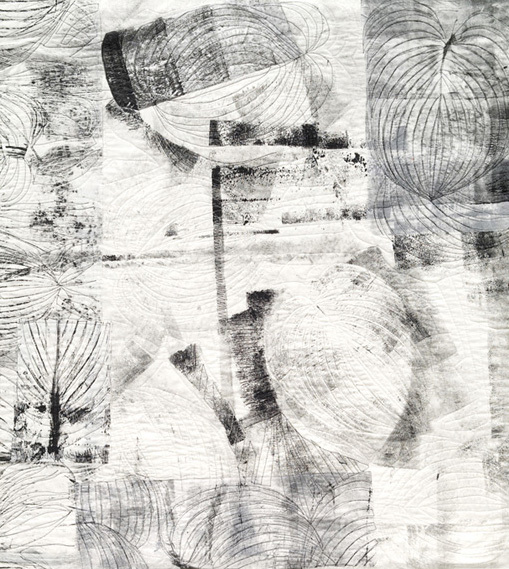 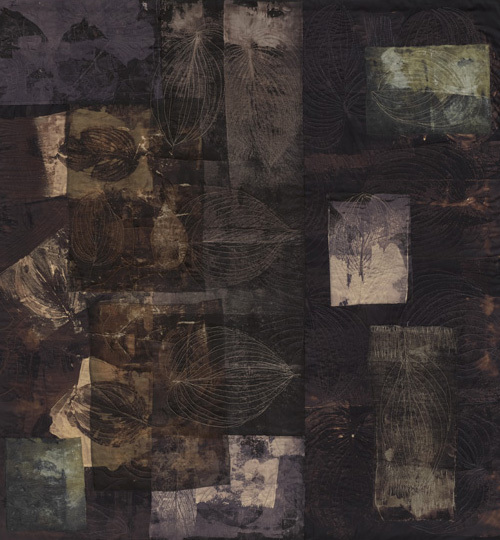 Last fall I came across some very large leaves; I printed fabric with them and this was the start of a new series. 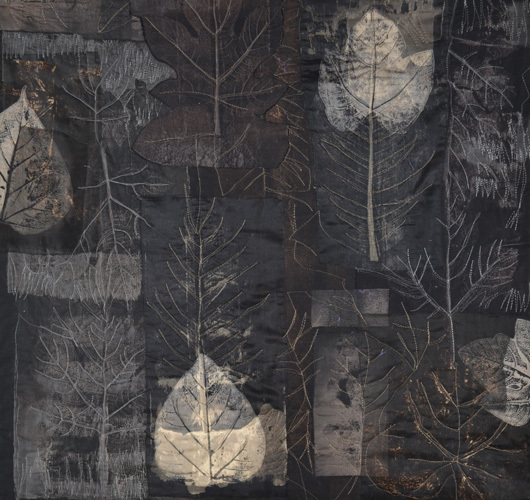 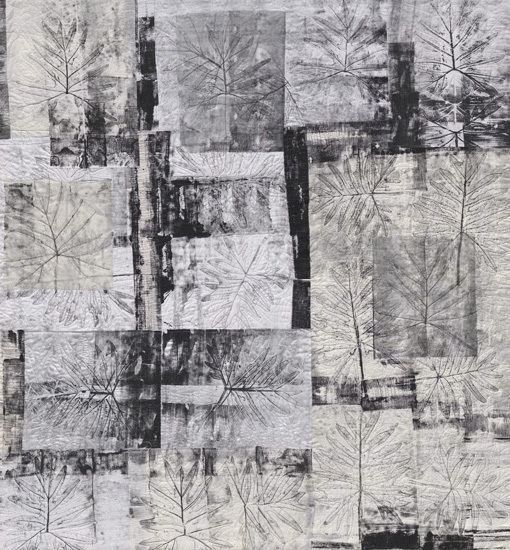 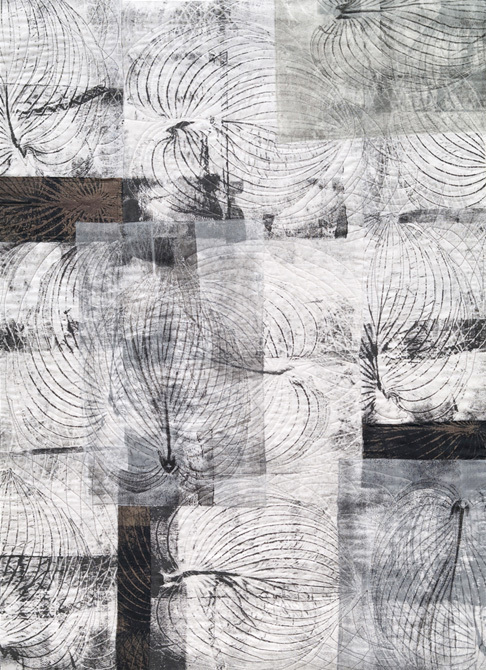 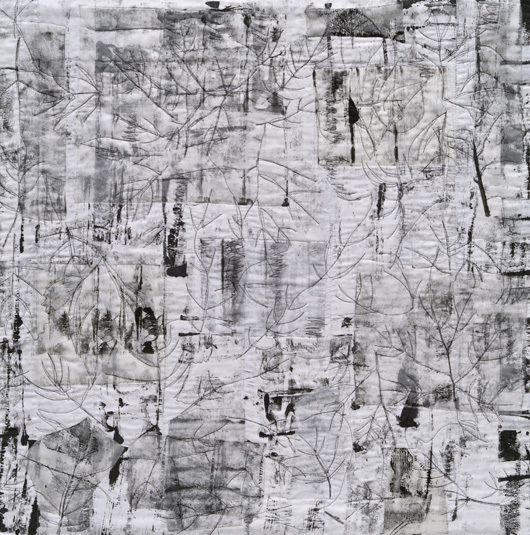 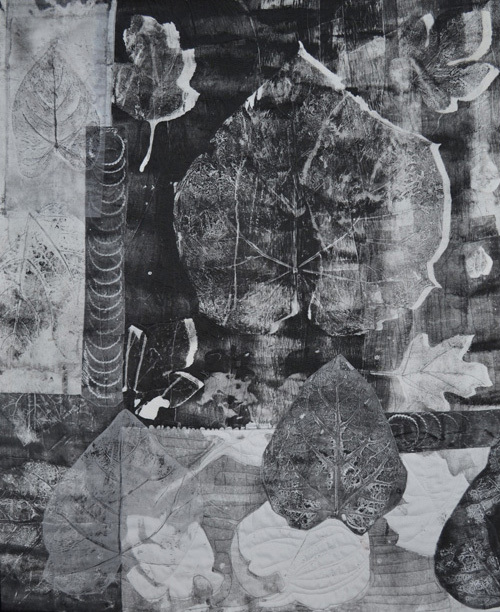 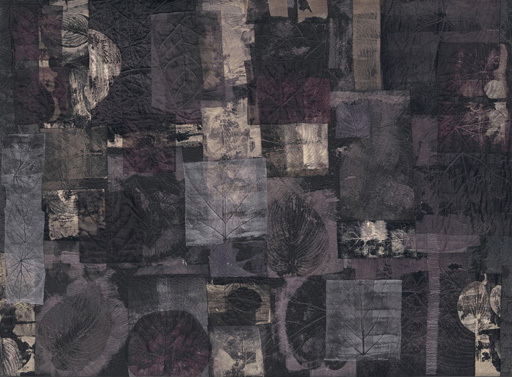 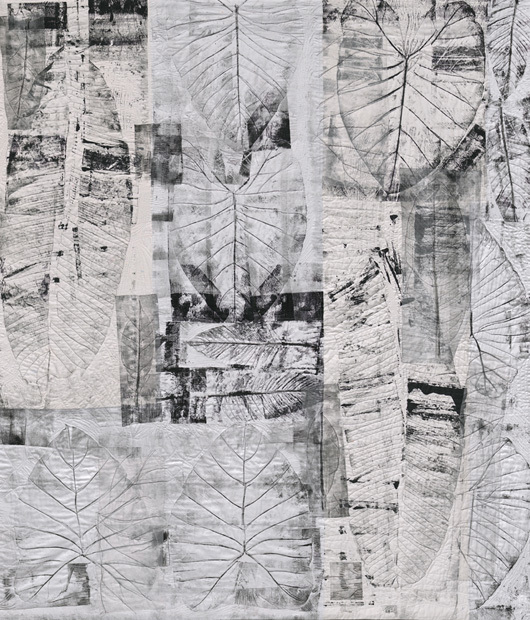 The resulting quilts are mostly whole cloth, with the leaves taking center stage, enhanced by accidental patterns created by the printing tools, variable amounts of paint,etc.. 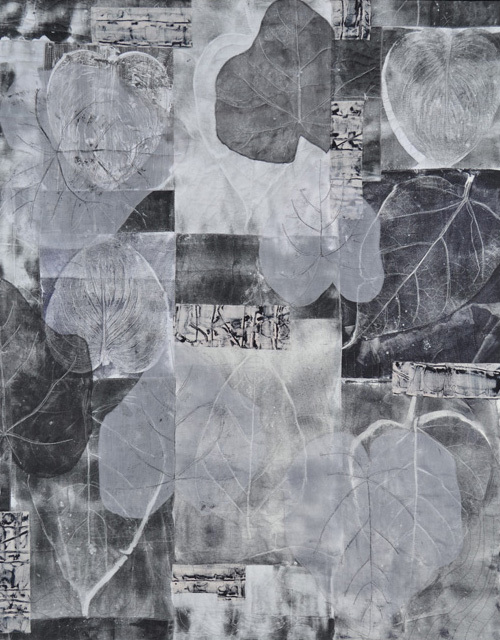 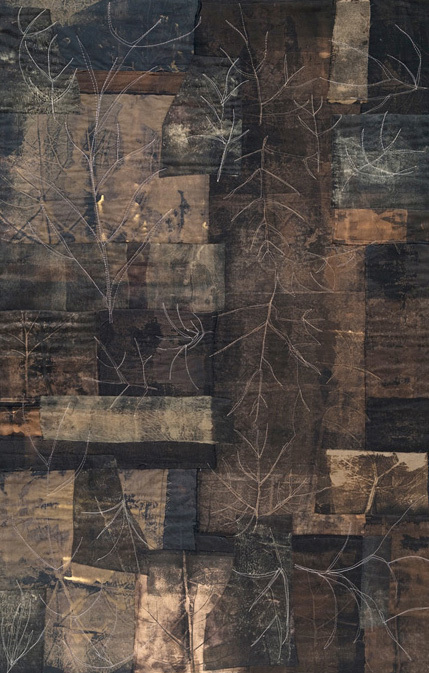 The large hand stitching echoes the vein patterns of the leaves. 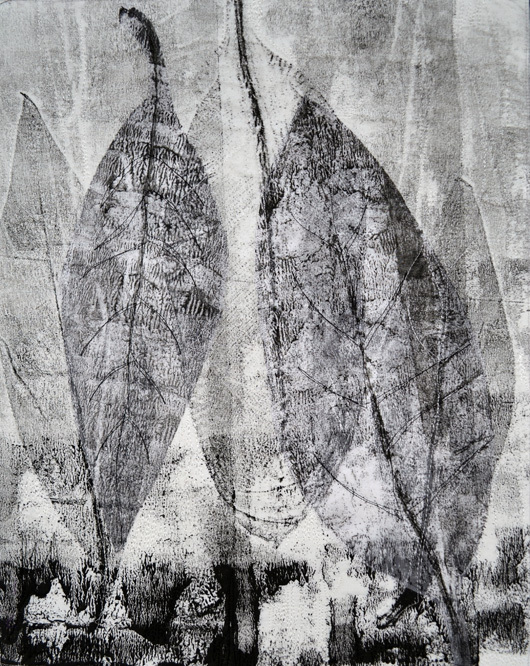 Friends and family are finding big leaves for me; this adds an element of collaboration and I enjoy the spontaneity of working with whatever comes along. 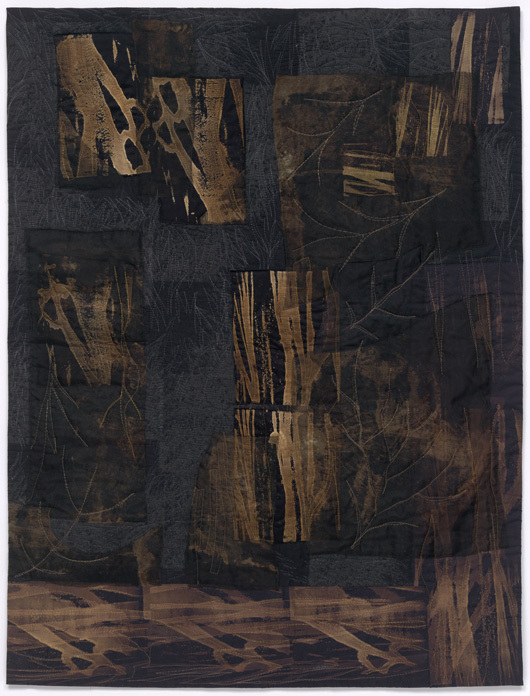 Price range for this series: $500.-$4750.